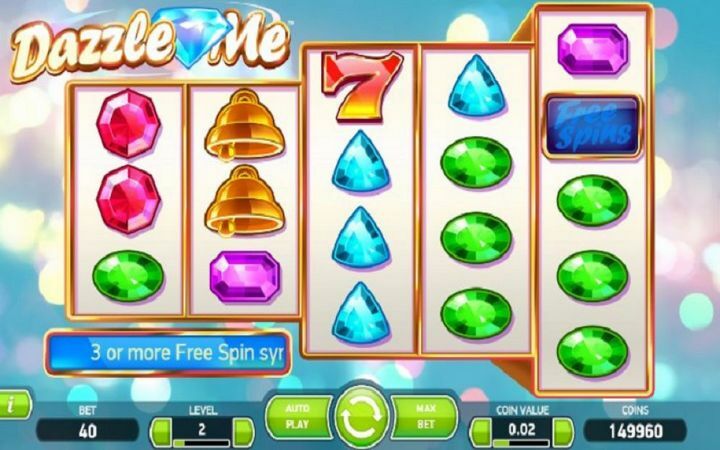 Dazzle Me slots game is a one-of-a-kind online casino video slot established by NetEnt games developer. It has 5 reels and 76 paylines which are fixed. The special feature is the rows which are in a 3, 4 and 5 pattern. The first two reels have 3 rows, the succeeding two have 4 rows, and the last one has 5 rows. The main theme is based on gems. The scatter symbol that generates bonus rounds is a blue and golden badge with the name Free Spins written on it. Deposit the money you wish to stake. Select a bet level ranging from 1 to 10. Set the coin value ranging from 0.1 to 1.0. Click on spin. Autoplay enables a pre-set number of spins to occur. Gambling has never been easier; play Dazzle Me casino online. Having comprehended how to place a bet, let us now tackle the payout and bonuses offered by these icons. Matching at least 3 images on a line amounts to a win. As earlier stated, the scatter icon introduces extra spins, whereby matching 3, 4 and 5 scatters generates 8, 12 and 16 free spins in that order. However, you get to enjoy the exact number of spins you earned because the bonus game does not retrigger spins. Lastly, the Dazzling Wild Reels is a feature activated at random. It involves a reel going wild during the normal game offering potential for huge wins such as the Dazzling Jackpot of 152,000. Play free online Dazzle Me slots to be best positioned to win because you will have had an experience of the game. Also, access the help window and seek as much information as you need regarding the game. Always remember to bet wisely, using the additional feature games as trump cards. The payout for the Dazzle Me slot game is unsurprisingly good because of the several paylines availed to players. On top of that, the lines are fixed meaning the probability to win is even higher. Apart from the Dazzle Me slots free play on the internet, the opportunity to play for real cash is also there. The game offers Free Spin, and Dazzling Wild Reels feature bonus games to players. It also offers a jackpot where big wins could be registered. 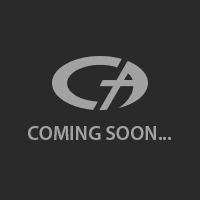 All these are achieved via the user-friendly interface built by the NetEnt software provider.